Often times, solitude is the best environment for self-reflection and intellectual exploration. While many people serving time never intend to create literary canons during their imprisonment, there has been a great deal of astounding literature created during time behind bars. Below is a short list of five literary works written while serving a sentence. These works prove that life in prison can be productive; it can be used to create something progressive for the greater society. As a revolutionary leader, Nelson Mandela fought against the government of South Africa for the rights of his fellow countrymen. In November of 1962, Mandela began serving what was originally a five year sentence for inciting a riot. He was detained and relocated until 1990, for his participation in the apartheid resistance movement. During this time, Mandela wrote about his experiences, which would later be compiled into this autobiography. Globally regarded as one of the greatest Spanish writers, Miguel de Cervantes left an indelible legacy on Western literature with his words. His impact on the Spanish language is so widespread that it is sometimes referred to as la lengua de Cervantes (“the language of Cevantes”). Don Quixote, considered the first modern European novel, was written while de Cervantes was held in the Crown Jail of Seville for “discrepancies in his accounts”. Henry David Thoreau only served a single night in prison, the punishment for refusing to pay a poll tax to a government that he did not agree with. This experience was enough to inspire this essay on civil disobedience, originally titled Resistance to Civil Government. This essay inspired future revolutionaries like Mohandas Gandhi and Martin Luther King, Jr. Organized by the Southern Christian Leadership Conference (SCLC), the Birmingham Campaign was a nonviolent movement intended to highlight the integration efforts of African Americans in one of the most racially divided cities in America. As a leader of the campaign, King was arrested after Circuit Judge W.A. Jenkins issued an injunction against, “parading, demonstrating, boycotting, trespassing and picketing.” After reading “A Call for Unity,” a statement by eight white Alabama clergymen attacking King and his methods, King wrote this open letter on scraps of paper. This defense of nonviolent resistance became a landmark text for the American Civil Rights Movement. 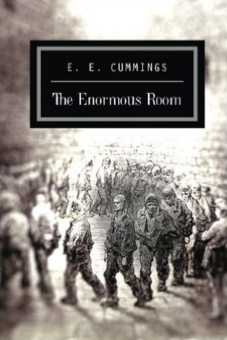 Before publishing any volumes of poetry, e e cummings penned The Enormous Room, a novel based on his experience as a prisoner at the French military detention camp at La Ferté-Macé. Cummings and his colleague, William Slater Brown, were arrested and questioned by French authorities concerning anti-war sentiments that Brown had expressed in some letters; Cummings stood by his friend and was also arrested. The Enormous Room is the autobiographical tale of four months spent with adventures alongside fascinating characters. Adam Quirk, MCJ & MBA, is an accomplished criminal justice professional with over 15 years of experience conducting criminal and regulatory investigations for the federal government. Adam Quirk is also a true crime writer and the owner of Stealth Advise, Wisconsin's premier private investigations firm.